Concerns over the safety of Ghana's oil production wells and their ability to further hold the gas component of the find has come up for discussion as the Ghana Gas Company faces possible further delays in getting a plant ready to process the associated gas. But the Ghana Gas company is optimistic it can still make the January 2014 time line for the delivery of gas from the jubilee fields, despite the various setbacks which had led to several postponement of the completion date. Chief Executive Officer of the Ghana Gas Company, Dr. Sipa Yankee told The Chronicle that engineers working on the $750 million gas processing plant are looking at various options at meeting a December /January completion timeline, but noted that they are careful not to rush into anything that would endanger the future life of the project. "The safety of the Gas infrastructure and personnel are very important," he stressed. Meanwhile, the jubilee partners have hinted at work on an alternative plan to save the wells from collapse due to the inability of the Ghana Company's inability to process the associated gas from the oil find and to uphold Ghana's no gas flaring policy. 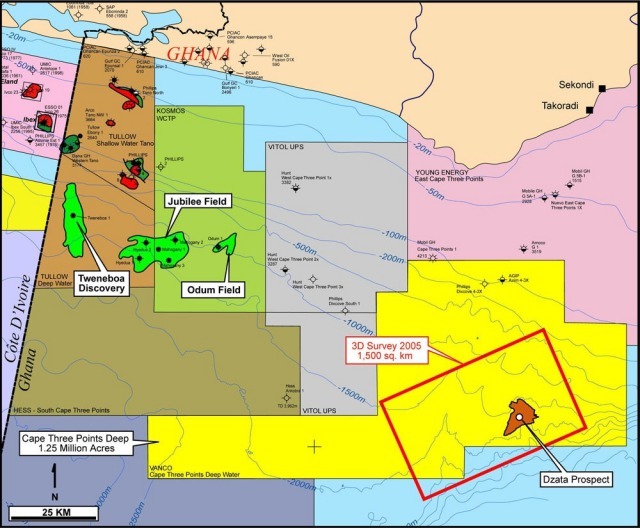 In its July 3, 2013, Commercial operational update, Tullow Ghana, hinted of plans to construct additional storage facilities for the gas component of the oil production. "By the end of the third quarter of 2013, work on a gas handling constraint on the FPSO is expected to be completed and Jubilee production is forecasted to increase to over 120,000 bopd. "A gas injection well is also expected to be drilled and completed by the fourth quarter for additional reservoir pressure support and gas disposal in advance of the start up of the gas export facilities next year", Tullow noted. The Atuabo Gas project in the Western Region suffered its latest setback when of a container carrying a consignment of materials for the project, including 34 fabricated plates valued at $2.6 million for the liquefied petroleum gas (LPG) storage tank were damaged when the Chinese vessel Senghuang Song, on which it was being transported, was involved in an accident as a result of bad weather. Against this background, many have predicted that the Ghana Gas Company was most likely to shift its completion date to the later part of 2014 while others have been trying to quantify the loses the country is likely to incur should the project delay further. The Volta River Authority, the main power generator spends at least $3million a day on light crude oil and has been billed to be a major benefactor of gas from the Ghana gas company, when Gas from the Jubilee field comes on stream. The Jubilee gas is expected to half the fuel cost of VRA and enable it save at least $1.5 million which would have otherwise been used to purchase light crude. The further delays in the gas project will also mean that the Gas Company would be losing out on revenue. The Volta River Authority told The Chronicle that the delay in getting the gas from the Jubilee field on stream would have no direct impact on their operations. Head of Corporate Communications at the Volta River Authority (VRA) Samuel Kwesi Fletcher told The Chronicle that currently the VRA has made its own arrangements, for without immediate plans for the gas from the Ghana Gas Company until their Commercial Operating date is announced. Dr. Sipa Yankey, however, explains that the damage to the equipments for the project does not strictly come at any additional cost to the government of Ghana, as Sinopec, the Chinese firm building the plant had all the materials insured. "The only cost is the delay ... . loss of saving to VRA for the three months that we will not be producing and it will be a Loss of revenue to the gas company as well," Dr. Sipa Yankey noted. We have a direct provider of fresh cut bank instrument for lease/sale, such as BG,SBLC, MTN, Bank Bonds,specifically for lease, at leasing price of 6+2 of face value, Issuance by HSBC London/Hong Kong or any other AA rated Bank in Europe, Middle East or USA.Leased Instruments can be obtained at minimal expense to the borrower compared to other banking options.